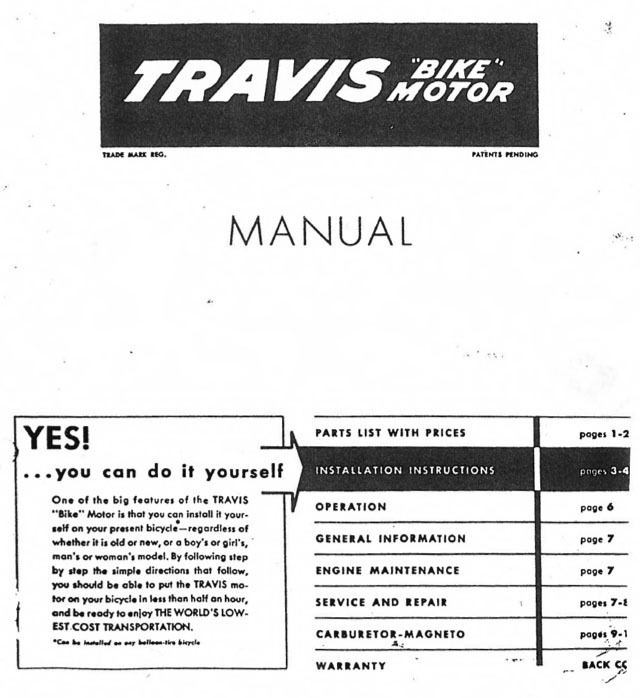 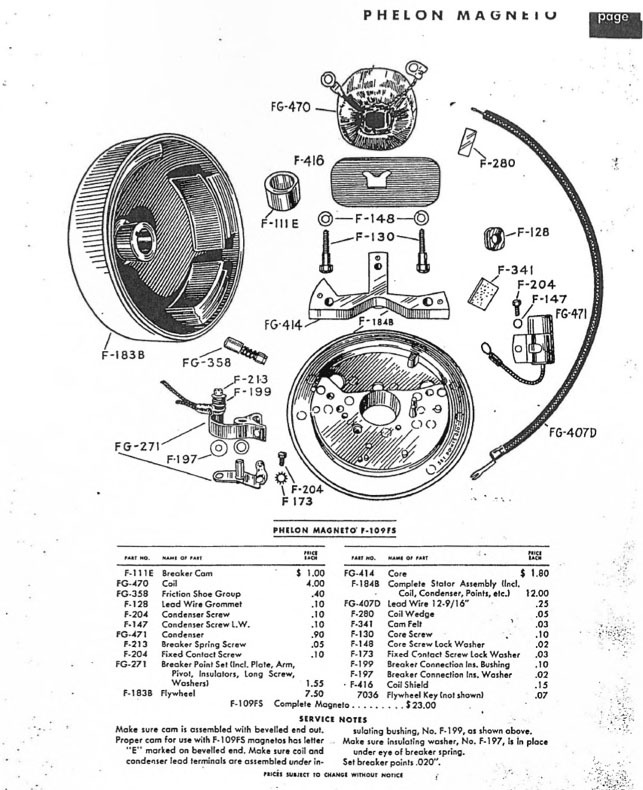 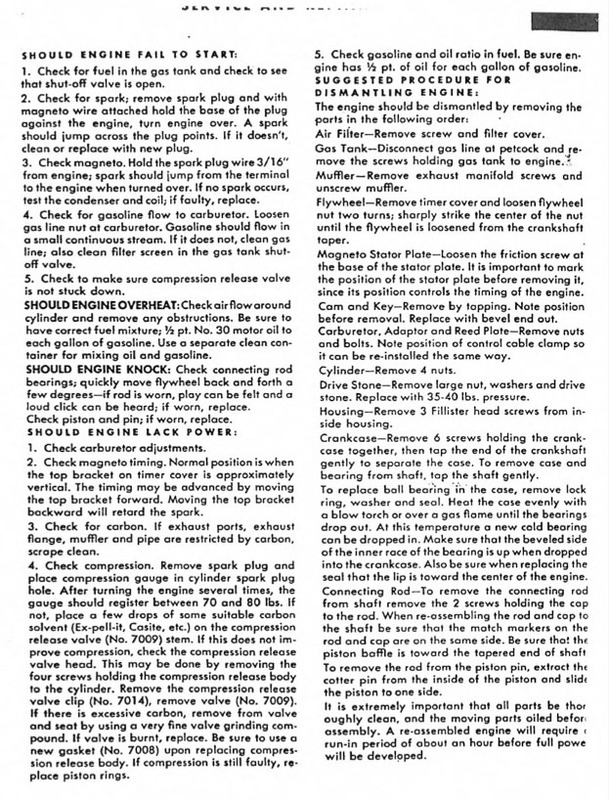 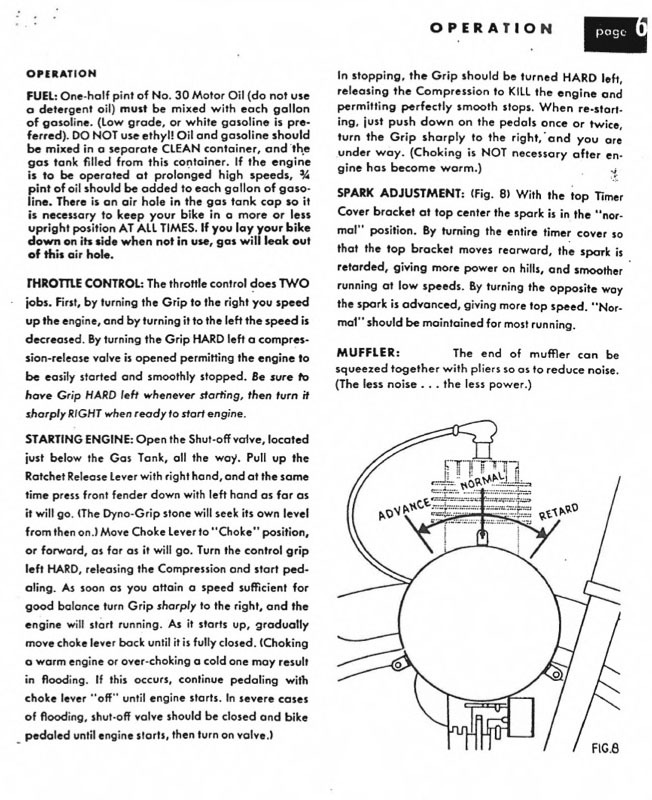 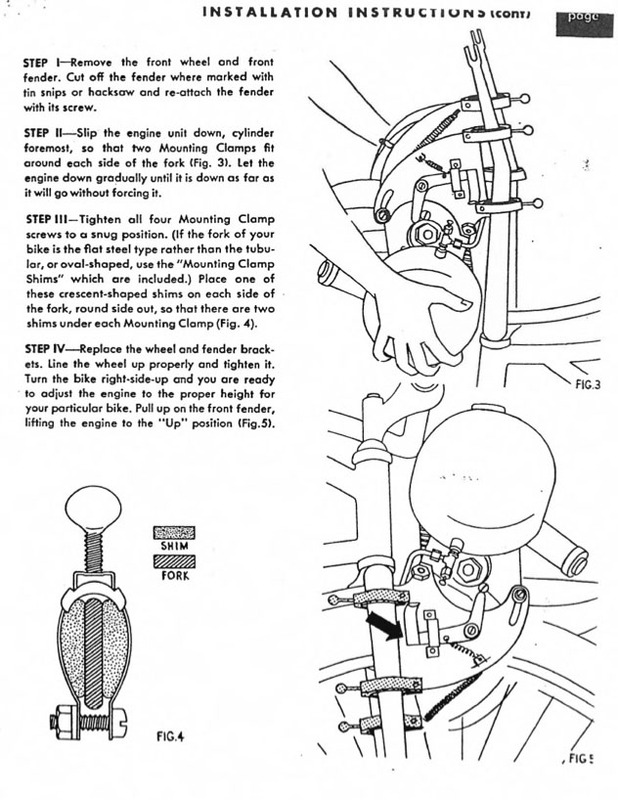 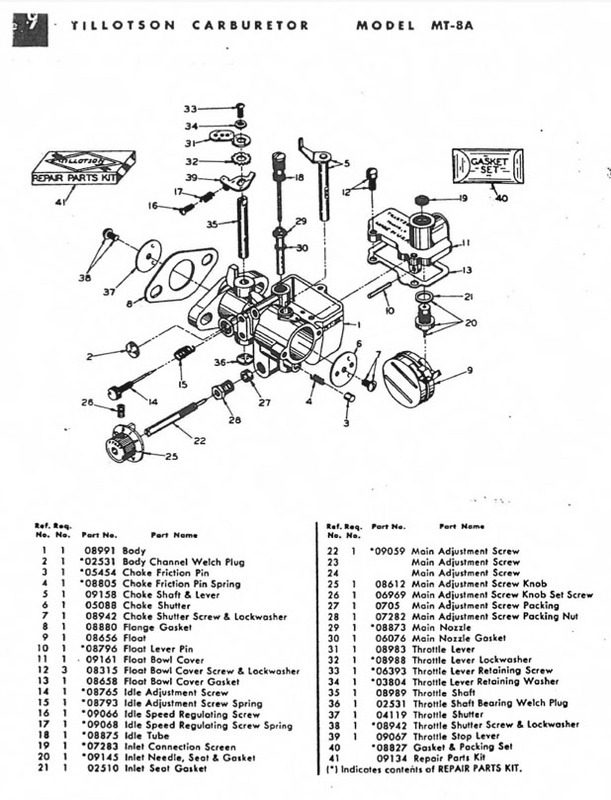 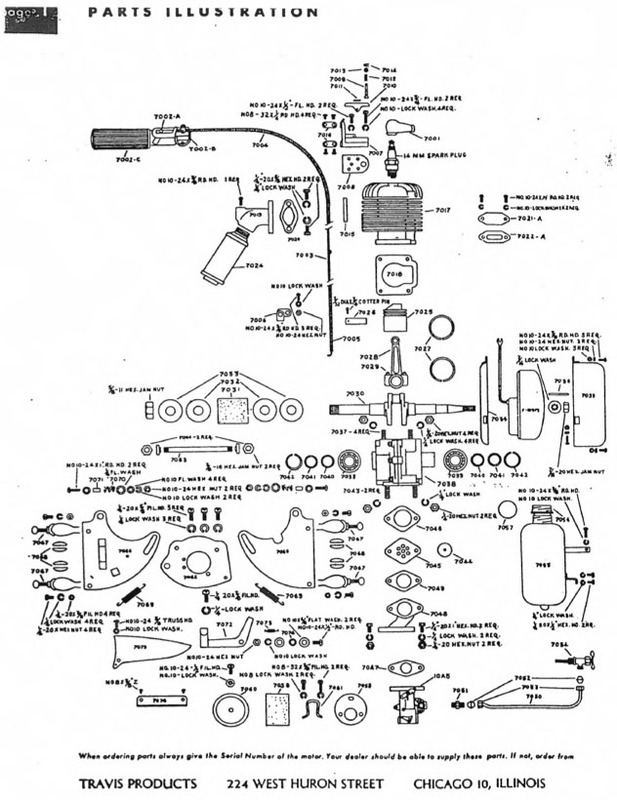 Power Products offered two models of the Travis Motor kit. 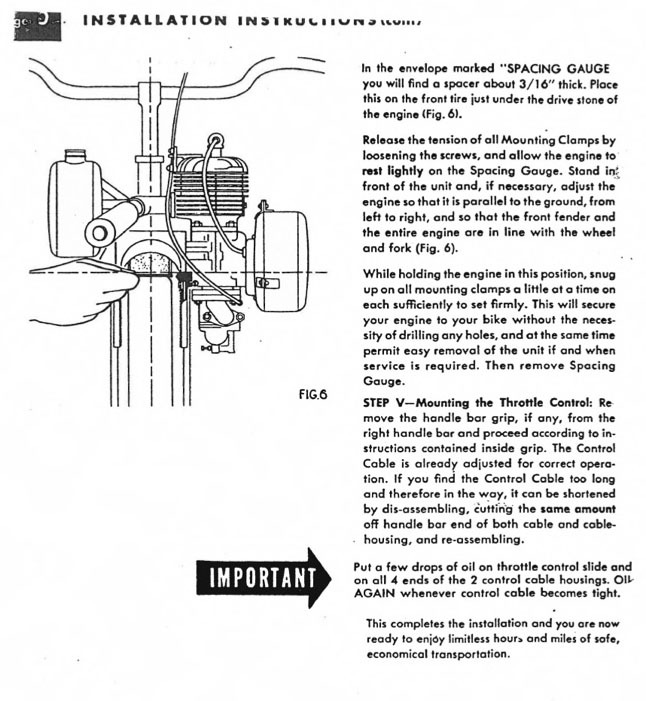 This one features the larger gas tank with the 1.5 hp motor. 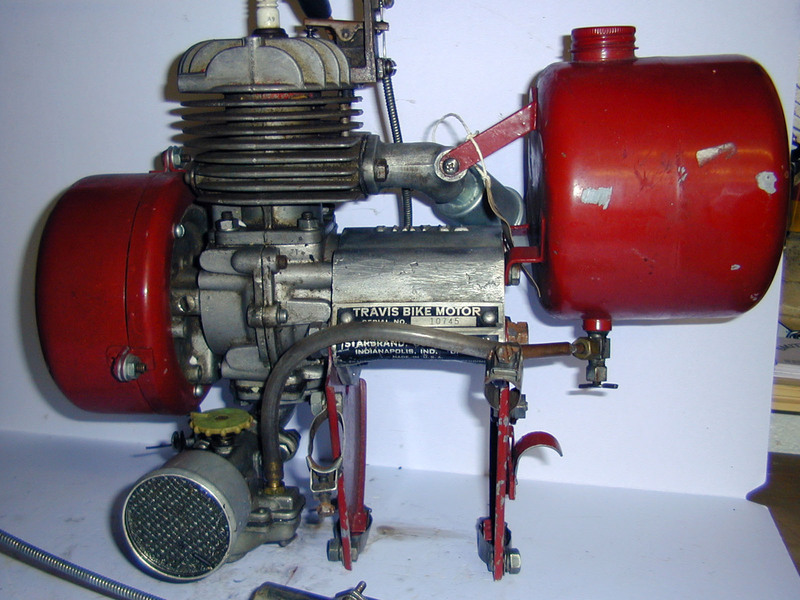 The other model had a smaller gas tank with a 1 hp motor. 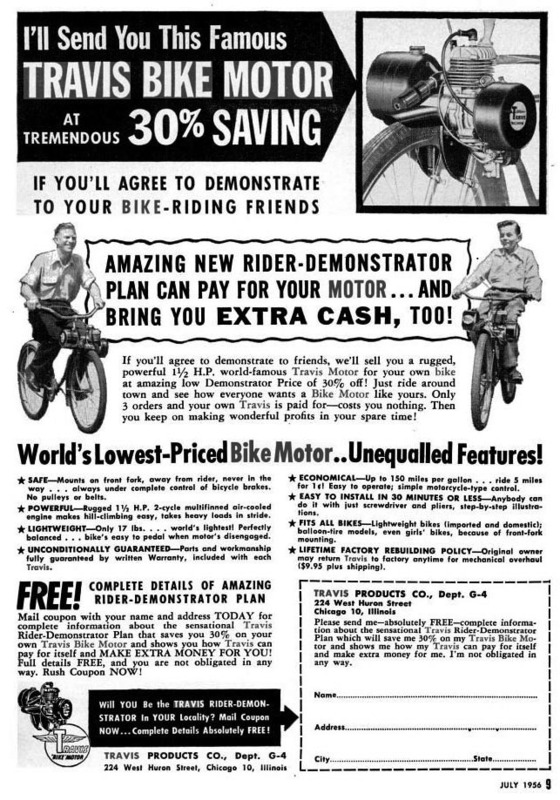 Both models offered an optional all chrome finish. 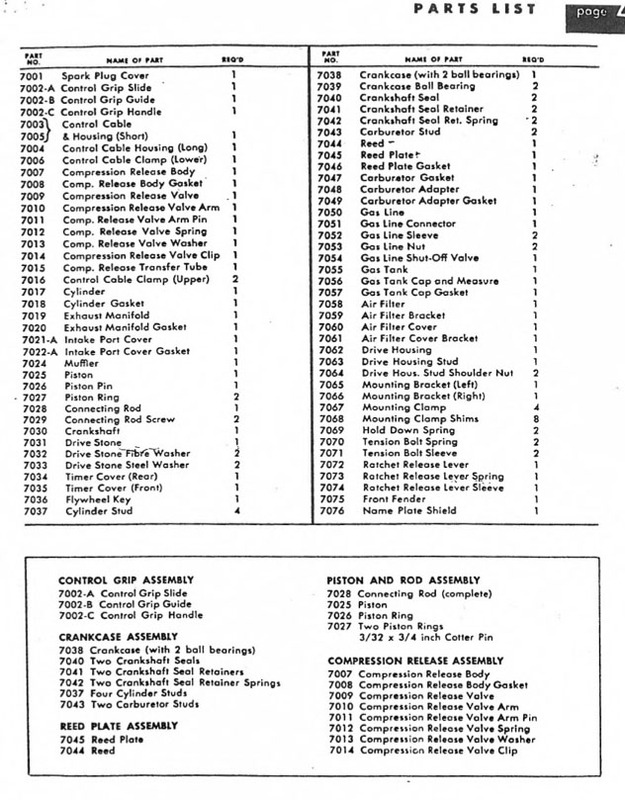 In 1949, the kits retailed from $69.99 to $89.99. 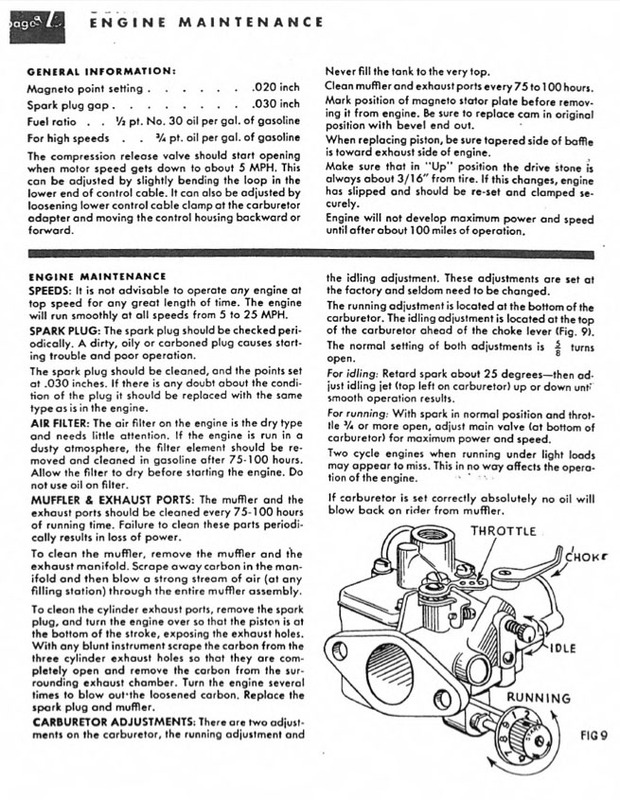 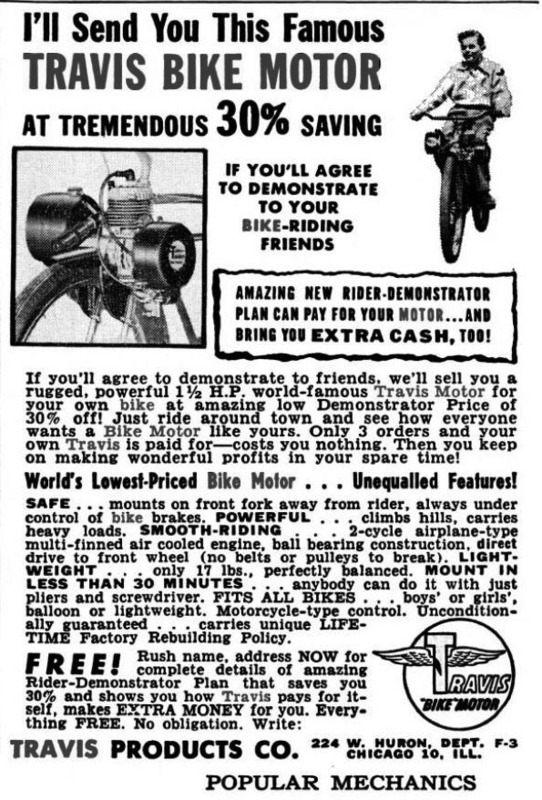 The Travis Bike Motor was a nifty invention, hitting the American market in 1949, at the same time as British cyclists were starting to fit Trojan Mini-Motors, and later Cyclemasters, Powerpaks and Winged Wheels to their bicycles to give them a bit more ooomph up hills on their daily commutes. 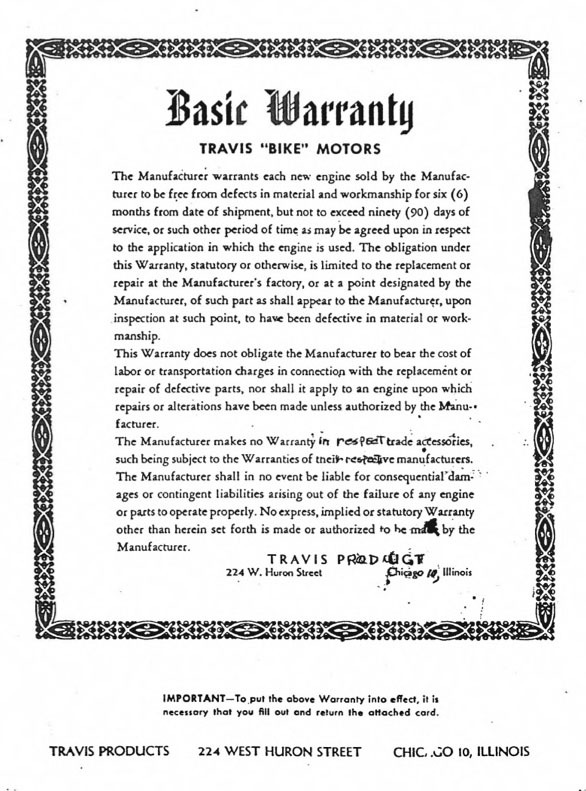 Travis seems to have over-estimated demand and, long past its sell-by date, the engine was still being plugged in Popular Mechanics Magazine. 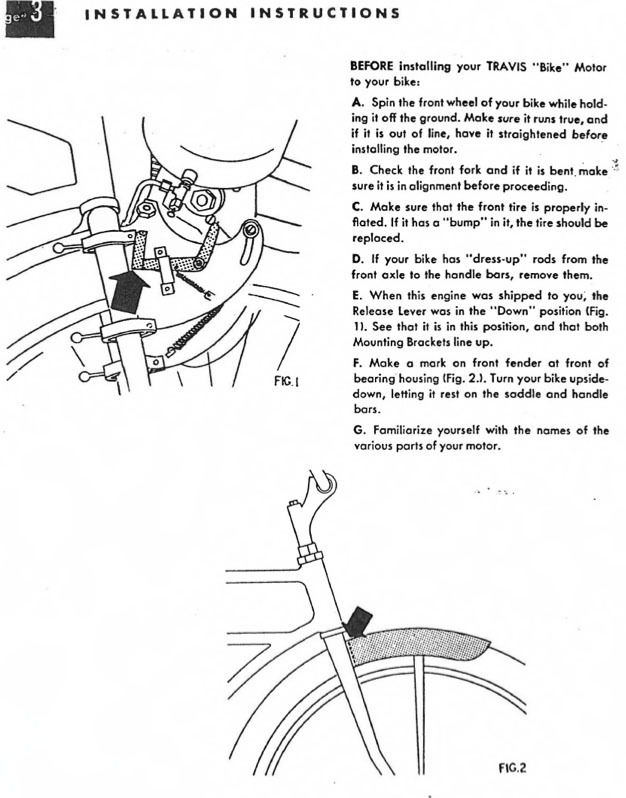 The above advewrt is from 1956 andf the one below from 1958.